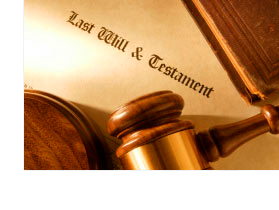 Morris Getzels Law Office is an experienced probate and trust litigation law firm. We assertively represent clients in Southern California and from across the nation in order to protect their rights and property interests. People who have worked hard all their lives deserve the opportunity to bequeath their assets to their family members and loved ones in the manner they see fit. But late in their lives or even after death, persons close to them can interfere with their wishes through undue influence in the writing of a will, an illegal conveyance of real estate, or other actions. The beneficiaries and heirs must usually resort to litigation in probate court in order to affirm their rights. Moreover, personal representatives and trustees may find themselves subject to a lawsuit from potential beneficiaries of an estate or trust. Such lawsuits may seek to rescind the will or trust, may seek to remove the personal representative or trustee, or seek to recover assets from the personal representative or trustee personally for alleged wrongdoing. In such cases, a personal representative or trustee should retain an experienced and highly trained probate and trust litigation attorney to represent them in such legal disputes.